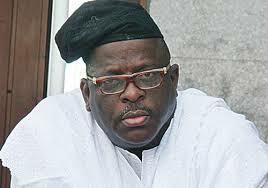 The Federal Government has instituted two appeals before the Lagos Division of the Court of Appeal against the orders of the Federal High Court barring security agencies in the country from arresting and commencing extradition proceedings against Senator Buruji Kashamu. Two judges of the Federal High Court, Justice Okon Abang and Justice Ibrahim Buba had in separate rulings nullified the provisional warrant of arrest obtained by the National Drug Law Enforcement Agency (NDLEA) against the Senator representing Ogun-East. The judges had also restrained the NDLEA from arresting and arraigning Kashamu in furtherance of moves to extradite him to the United States of America to face drug related offences. In one of the appeals, the Federal Government argued that the court cannot fetter the hands of security or prosecuting agencies in the lawful discharge of their functions. In the second appeal, the government submitted that from a careful scrutiny of the case, it was clear that the lower courts aided Kashamu to abuse the processes of the court. The Attorney-General of the Federation, AGF in the appeal, also insisted that the English Courts, have not exonerated Senator Kashamu on drug related charges but only ruled on his extradition proceedings. Senior Advocate of Nigeria, Emeka Ngige, who represented the Federal Government in the matter has therefore asked the Federal High Court to stay further proceedings in the matter pending the hearing and determination of the appeals. In a brief ruling, Justice Buba adjourned further hearing of the matter till June 23 to enable the lawyers produce before him copies of the appeal and all other documents in the matter.